On Sunday 11th March we flung open the gates to the farm for our Lambing at Brymore event. The event, which was originally scheduled for the weekend before had to be postponed due to the recent snow, but with the full weight of volunteers, students and staff behind it the event ran like clockwork on Mother’s Day instead. 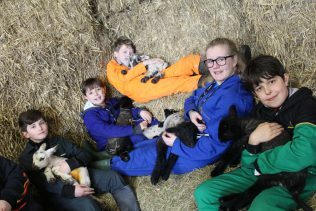 Over 1500 visitors flocked through the gates to see the baby lambs, meet the pregnant ewes and hold the baby chicks with the Friends of Brymore Association fundraised by holding a barbeque and tombola. Visitors also had an opportunity to interact with the resident blacksmith and learn about this ancient form of metal work. 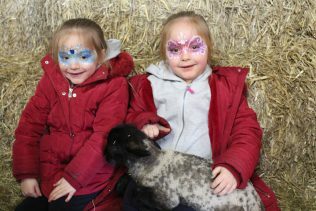 In addition the youngest visitors were able to drive pedal tractors and use the farm themed bouncy castle and with a facepainter on hand the children had a great time. Ian Dyer, of Sedgemoor Council, came to the event and said that ‘Brymore is an integral part of the agricultural community and opening the farm for free is a great thing for local residents. I’m impressed with how they’ve managed to reschedule the event in such a short space of time and still make it a success’. This is the second time the event has run at Brymore Academy and visitors are welcome to come to the next school on Saturday 30th June to experience an even bigger event for their Country Fair.